Turkish Airlines World Golf Cup 2016 is the largest & most exciting amateur tournament in the world of golf. This is the fourth edition of the World Golf Cup. The tournament has gone from strength to strength since its inception in 2013. Turkish Airlines is known as Europe’s Best Airline. The recent stage of the tournament was held at Classic Golf & Country Club, Gurgaon, Haryana. All the hundred qualifiers for the World Golf Cup, a global event, will be personally-invited guests of Turkish Airlines. The qualifying event is happening in 100 cities all across the globe. Ozer Guler, General Manager, Turkish Airlines, North and East, India was present at the event. He talked about the current spectrum of his airlines and the forthcoming agendas. Ozer was quite hopeful of getting a nod from the Indian government for 4-5 cities other than the two where it is already flying – Delhi and Mumbai. 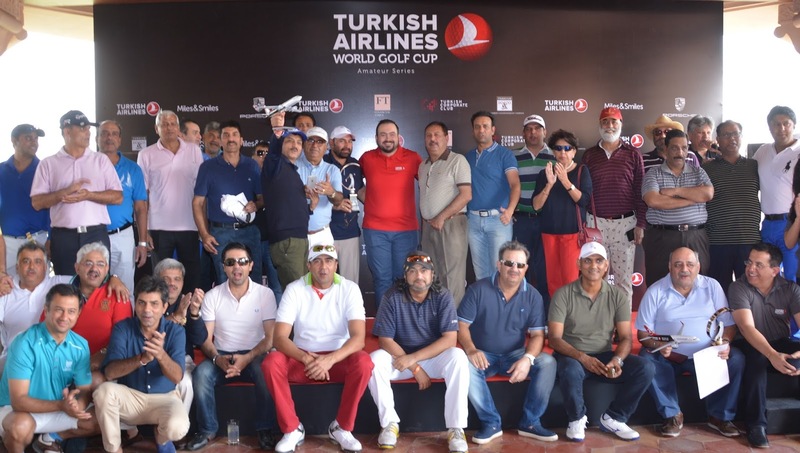 Delhi was the seventh of 100 host cities for the tournament to select 100 qualifiers for the finals of the Turkish Airlines World Golf Cup 2016. The final will be held in October-November this year in Antalya, Turkey. 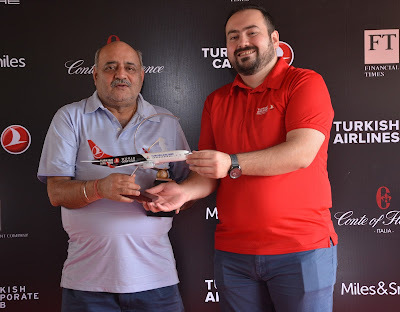 Ravi Burman, Director, Urgent Care Hospital was the winner of the individual competition with 45 points qualifying for the Grand Final in Antalya. The first qualifiers were held at Dar Es Salaam followed by Mumbai and Doha in February. The qualifiers tournament would be taking place across the globe in various destinations like Great Britain, Hong Kong, Japan, South Korea, Spain, China, the United States, Italy, Portugal, Greece, France, Argentina, Turkey, and Brazil. The overall winners of the Grand Final will be playing in the Turkish Airlines Open pro-am 2016. All the hundred finalists will be enjoying a seven-night stay in an all-inclusive luxury hotel in Turkey. 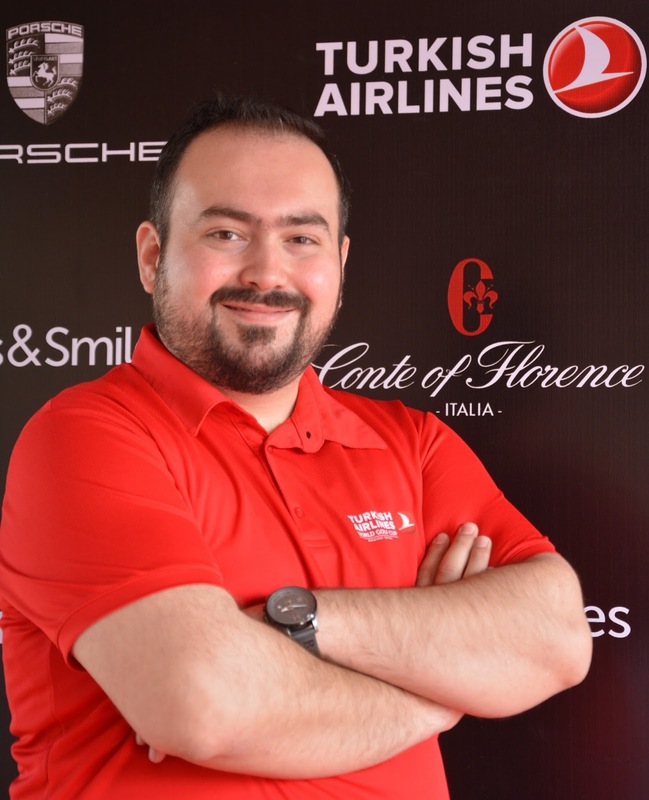 The sponsors of the Turkish Airlines World Golf Cup 2016 include Porsche and the Financial Times. Conte of Florence is the official clothing and fashion partner. Turkish Airlines is proud to win the award of Best Airline in Europe for the fifth consecutive year. It is also adjudged as World’s Best Business Class Airline Lounge and World’s Best Business Class Lounge Dining in 2015. The event was launched in 2013 featuring 12 qualifiers that reached to 70 last year. This year the number of qualifiers is 100.